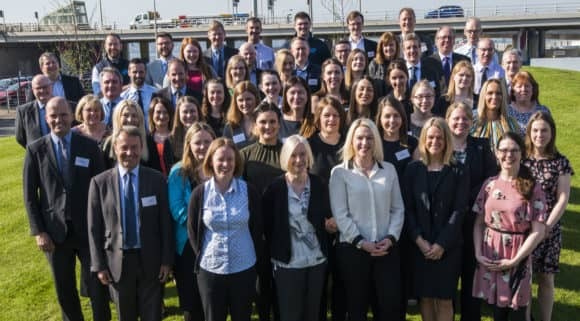 A Scottish accountancy firm is vying for the ‘Tax Team of the Year’ title, after reaching the final stages of prestigious accountancy awards. EQ Chartered Accountants, which has offices in Dundee, Forfar, Cupar and Glenrothes, has been shortlisted in the Scottish Accountancy and Finance Awards 2018. Now in their 11th year, the awards recognise achievement in the accountancy and finance sector, rewarding quality, commitment and innovation. The firm was required to illustrate the achievements of its highly-motivated and growing tax team throughout the last 12 months, its contribution to the firm’s growth, and how these achievements have been recognised. Investing heavily in its tax team, spread across all four offices, EQ is supported by five Chartered Tax Advisors (CTA) – the ‘Gold standard’ in tax qualifications – with one working towards the qualification. The firm has implemented a rigorous tax training programme for all client-facing staff, ensuring that rounded tax advice and solutions are provided to the highest standard at all times. Indeed, this programme has been adopted by several firms within Kreston International, a global network of independent accounting firms across 125 countries. Working in a variety of areas including healthcare, leisure and agriculture, each generating its own unique tax challenges, EQ has also created sub-groups to focus on specific areas of tax. One of the highest growth areas has been generated by the Research and Development Tax Credits team, generating over £13M of client savings since 2012 and delivering 63 claims in the year to 31 March 2018, with a 100% success rate. Meanwhile, the specialist transactions tax team has provided innovative tax planning solutions for around 30 business acquisitions or disposals, achieving over £300M of deal based corporate finance work in the past 12 months. Overall, the tax team’s achievements have been highly instrumental in the firm’s growth of over 8% within the last year, with nine out of every 10 new clients joining EQ due to the expertise the firm demonstrates in this area. David Morrison, Head of EQ Taxation commented, “We are delighted to be shortlisted in these highly prestigious awards which are a credit to the investment we make in both our team and our systems, ensuring the level of service which our clients both expect and deserve. “With tax matters inherent in everything we do, we strive to have one of the strongest tax teams within Scotland, not only due to the innovative tax solutions, added value and tax savings which we provide to our clients, but our team’s unwavering commitment to providing optimum client service at all levels. The Business Insider Scottish Accountancy and Finance Awards 2018 will be presented at a glittering awards ceremony in Glasgow on Thursday 14 June 2018. For more information, visit www.eqaccountants.co.uk or www.scottishaccountancyawards.com.